As the year's end approaches, we are reminded of our gratitude for animals who are newly rescued, the long-time residents who are thriving, and the special friends who we have lost. We are also reminded that our rescued farmed animals are only given the chance to find happiness and peace because of you. As we plan for the new year, we know we will continue to rescue farmed animals in need and save more lives than ever before with our advocacy efforts, but we only do that with your help. Your support and compassion gave animals like Freyja a second chance at life, and the freedom to truly enjoy and value life every single day. By donating today in memory of one of our animals who has recently passed, your gift will be doubled and will make twice the impact to help fund rescues and save more animals. In remembrance for those we have lost and are so grateful to have known, thank you for caring. Patsy, rescued together with her sister Judy in 2007, came from a horrible abuse case. After Judy sadly passed away, Patsy found companionship in Olive and the two could always be found napping together in the afternoon sun. 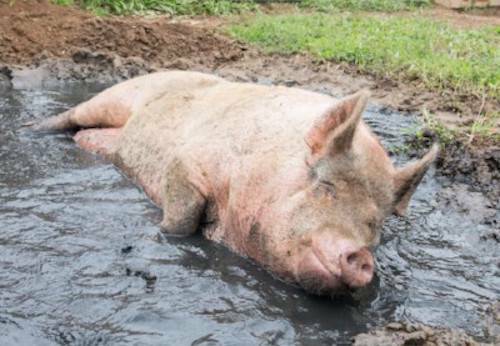 This independent girl always enjoyed a good mud bath and we think of her when eating her favorite snack, peanut butter sandwiches. 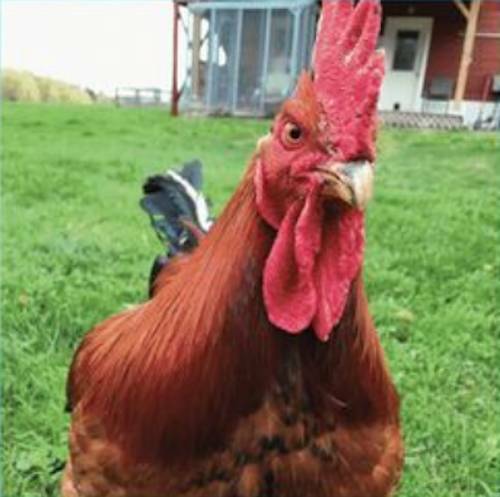 Sassy, talkative, spunky, and confident, Marley's personality and love of attention changed the hearts of so many visitors and moved them to view animals as friends and not food. We are so grateful she could share her life with so many. 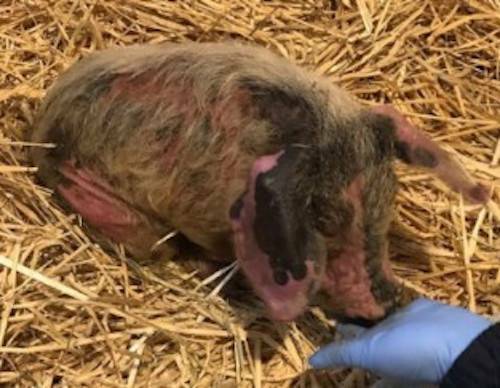 This past summer, this emaciated and sick little piglet was found and brought to sanctuary. We worked around the clock to save his life but he had been so severely neglected and suffered so greatly, he passed away after just four days. The loss of Hurley led us to his family so Agnes, Pamela, Mishka, Bradley, and Peter could be saved. We're so sorry we couldn't save you, Hurley. 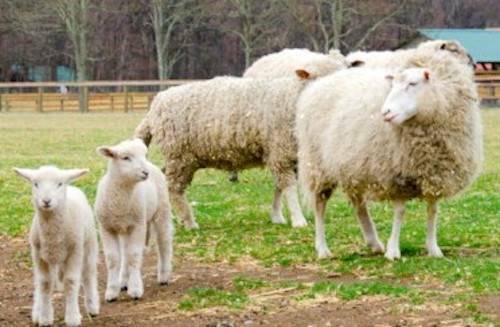 Rescued from the horrendous conditions and fate of a backyard butcher, Freyja was able to raise her two babies, Dorothy Jo and George, in the comfort and peace of Woodstock Farm Sanctuary. Not a day passed when Freyja didn't snuggle up with her babies for a mid-day nap. She is a reminder that animals, too, share the same bonds with their family as any of us do. 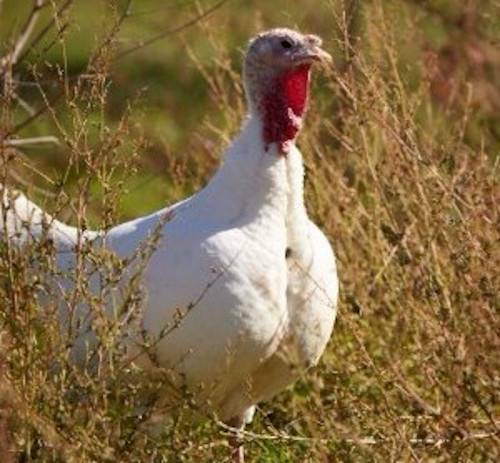 Before arriving to safety, Louise was found frozen to the ground, disregarded and left to die by a backyard butcher. We are comforted knowing Louise spent most of her long life living happily amongst her herd. 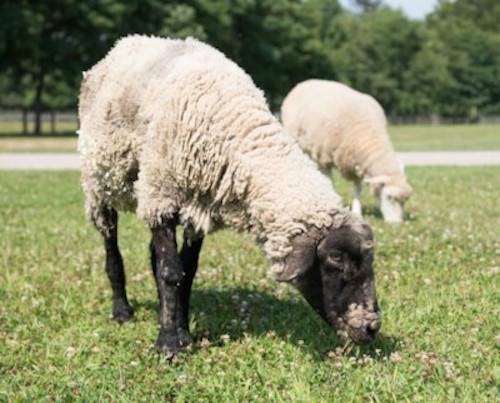 She was an extremely independent, affectionate, and sociable sheep and is dearly missed. Despite his big size, the thing that stuck out most about Matthew was his gentle curiosity. Never demanding attention, he simply enjoyed being around people and other animals. He was proof that friends come in all shapes and sizes, and some of the best ones may look different -- but they have a heart of gold.